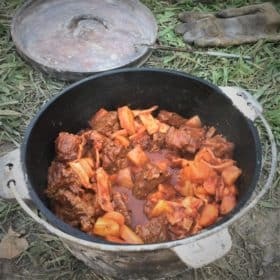 This is a wonderful one pot meal idea for any camp, but makes a perfect meal for a cool night camping. 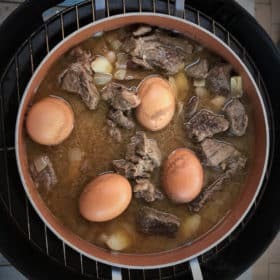 Cooked in a Dutch oven it becomes so simple. Not to be confused with a Shepherd’s pie which is made from cubed lamb, a cottage pie is made from ground beef. Both share a tasty gravy with mashed potato topping. This can be eaten alone, with fresh bread or even a salad. Heat the Dutch oven to a medium-hot temperature then fry the ground beef and onion until the beef is dark brown and the onion is soft and starting to caramelize. Add the garlic and stir through. Slowly add the beef stock, stirring to make sure anything stuck to the Dutch oven is removed. Add the carrots and peas, cook until softened. Combine in a cup, the water and corn starch (cornflour) until smooth. Stir mix into the boiling stew and stir until returned to the boil and thickened. Take off the heat. Peel the potatoes then boil and mash. Stir in the butter and milk. 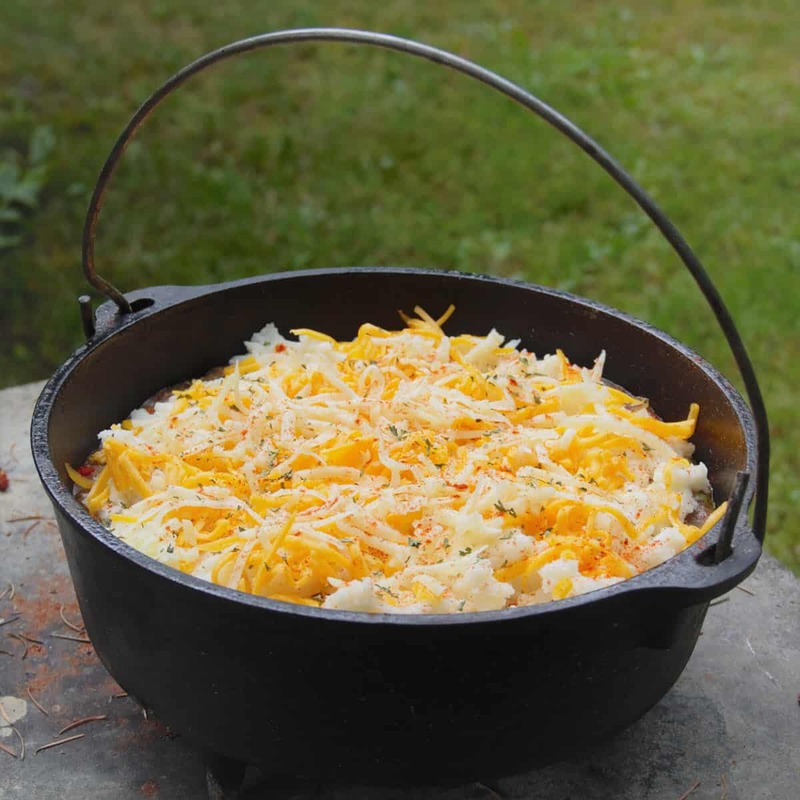 Tip: This could also be done using either leftover mashed potatoes, or instant potato mix when camping. Spoon the mashed potato gently over the stew, then sprinkle with shredded cheddar cheese and Italian herbs. Place the lid on and bake the cottage pie for 15 minutes at 300 degrees F (150 degrees C). Tip: This is achieved by placing coals under and on top of the Duct oven.